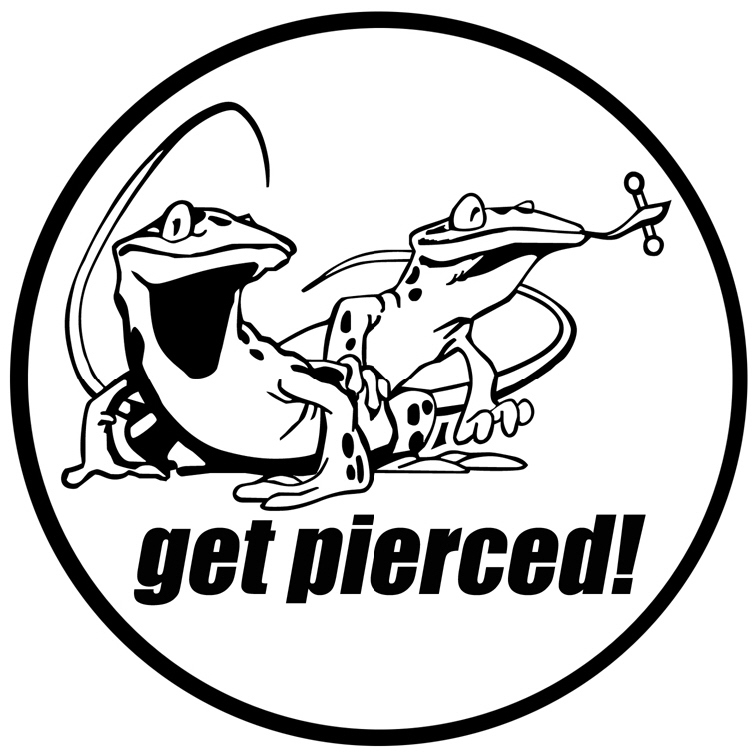 What type of licensing are you required to have to do body piercing in Washington? Silver Safari follows all state licensing guidelines for Washington. In addition to a business license, piercing shops are required to have a shop license specifically for body piercing. We are licensed through the State of Washington, Department of Licensing. Is there any licensing required for the body piercers? Yes, all body piercers in Washington are required to be licensed individually through the State of Washington, Department of Licensing and have a current bloodborne pathogens certificate. Our piercers are in compliance with both requirements. Do you use your needles one time only? Yes. Needle are used one time and disposed of. Can I bring in my own jewelry to be pierced with? No. We only pierce with new, medical grade jewelry. The body jewelry we pierce with is the highest quality available. What types of jewelry can I be pierced with - I am sensitive to certain metals - do you have what I need? Some people are very sensitive to certain metals. All of the jewelry we pierce with is medical grade. If you have a sensitivity to surgical steel, we recommend titanium, which is the least reactive metal to the body. For most of our piercings, there is no extra cost for titanium. We pierce with titanium, surgical steel, 14kt gold, polycarbonate, and hermetical gold. Is there a choice of jewelry for my piercing? Yes. For every piercing we do, there is a variety of choices. First choose the metal you would like to be pierced with, from there we can show you the different options of beads, with stones or without, and all the different colors of stones and titanium that are available. Do you use a clamp? No. We pierce free-hand - no clamp to cause discomfort or bruising. Do you numb the piercing? Yes. It is included in the price. We use a numbing gel and/or a numbing spray. It is not an injection - it is a topical anesthetic. What comes with my piercing? Piercing Care Solution, written care instructions, medical-grade jewelry, and topical anesthetic are included with every piercing. Additionally, we are available for free consultations before, during and after the piercing. If a legal guardian is signing for a minor, guardianship papers must be presented with I.D. Parent or legal guardian must be present with minor - no exceptions. Do you use a needle or piercing gun? Ear lobe piercings can be done with a piercing cartridge. All other piercings are done with a needle. For ear lobe piercing done with the cartridge, we use a one-time use, sterile, encapsulated, disposable ear piercing system.